Why do I love coaching? I was 14 when I discovered snooker for myself. I have experienced how important a coach is. That it’s about seeing the person behind the players. To learn how to practice properly. I swear by holistic coaching. Enjoying the game. Mastering technique. Tactics. Training plans. Filing on what can be better. Perfecting Strengths. Mental attitude. I offer coachings in my club, the ASKÖ Snookerclub Wels/Austria. 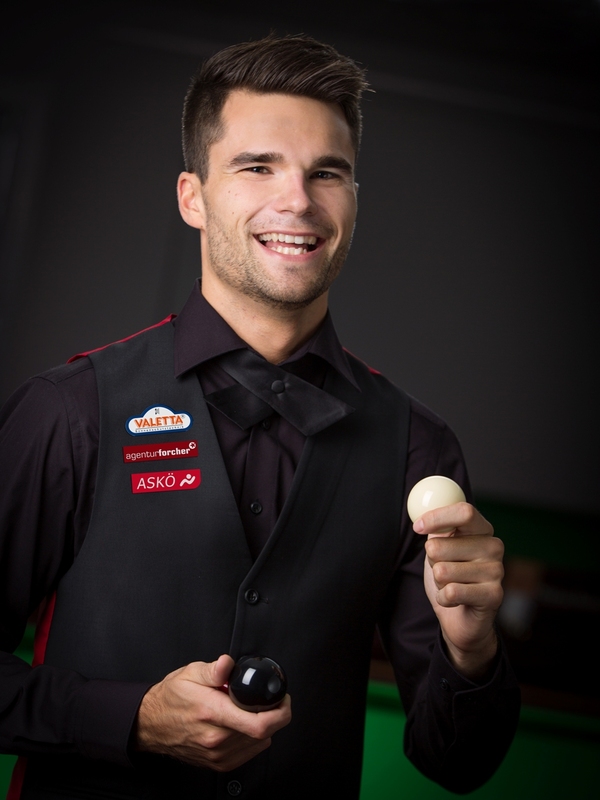 Appointment requests if you want to train in Wels: office@paulschopf-snooker.at. I offer coaching weeks including Coaching, Playing fees, your own appartment, food, drinks and transport from and to the airport (Vienna or Salzburg). Prices: from € 150,00/Day. Please contact…… to get your individual quote. Personal coaching for you, him, for partners, friends. For beginners, returnees of all ages. Individual and group coaching for beginners, advanced and professionals. 2 – max. 6 participants. Experience in working with children and adolescents – student courses during the holidays. Training with Paul is a great way for hobby players like me to work on their game in a very relaxed atmosphere. With exercises that are perfectly adapted to the strength of the player and the many individual tips and tricks, Paul understands how to increase the joy of the game and the motivation for training. And progress will be visible very quickly. Thanks a lot for this! Training with Paul is fun, inspiring, interesting and instructive. In the technical area, I was able to improve through his support, great progress has brought me his recommended exercises and his tactical knowledge are very valuable and helpful. Paul is a competent, confident coach and an honest, straight, sympathetic person. Paul is a very great and modern coach who understands to inspire every player from beginner to advanced. Paul is a true snooker role model for me, he lives snooker. Through personal training with paul I got known my current niveau and through his experience, his patience and specific practice routines my self confidence improved. Pauls training plan supports me to improve step by step and I know exactly now on what I have to focus on in practice. I train since March 2017 with Paul and I did improve a lot from his knockledge about the game. We did work a lot on my technique and by training his specific own made routines I could manage my new highest break of 87 in a game. Thanks Paul! Paul is a great person and an excellent coach. He has an exceptional understanding and appreciation of the game together with a clear and efficient way of communicating his extensive knowledge to others. He has an excellent approach and uses great training programs which cover all the areas of the game. I would highly recommend Paul to anyone looking to improve their game and I would like to take this opportunity to express my best thanks to him. To sum up: Keep it up Paul and all the best and every success for the future. In January last year, as a 71-year-old who had never before had a cue here at “Eintracht Klagenfurt” I completed my first lessons and decided to do this wonderful sport, it was clear to me from the beginning that this was only can be done with professional help. Already in March, I fixed with Paul in Wels a two-day training and was immediately impressed by the professionalism, consistency and friendliness of Paul! After these two very intensive training days, which were also connected with a lot of fun, I completed another training session at Paul in Wels before leaving for vacation in the Mühlviertel in August. Highly recommended! I took only positives from the training sessions with Paul. It’s not all just about technique, he also gives you tactical tips on how to improve in a variety of match situations. Pauls coaching was very helpful. He did show me how to practice the right way and his dedication did motivate me to train harder. Every session was great fun and I can recommend to everyone of every playing niveau, age and gender to train with Paul. Very Capable, you can feel Pauls enthusiasm for snooker which transfers in his coaching sessions. It is so motivating, rewarding and recommendable in every way. If you try to teach yourself something, you get to the point where it is difficult to get ahead on your own. Paul accompanied me from this point on and developed my game in a short period of time. It’s great fun to attend Paul’s professional and well structured training sessions. I am working with Paul since 2012 and he has done outstanding work. In September 2017 I did reach my big goal to get into the top 16 of the austrian rankings. Honesty, quality, ambition and fun are the key values for Paul. Paul understands how to support the player with honest feedback and fresh input in his development. His coaching is build on interesting exercises, exciting discussions and surprising insights every time.